The time of impromptu BBQs and get-togethers is upon us. On any random day, we run into friends at the pool or park and last minute dinner plans are made. I always like to put out some sort of treat for the end of the meal, but I don’t always want to run out to the store last minute. 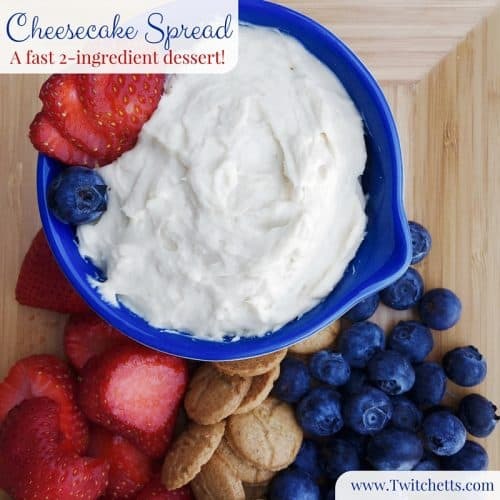 Now I keep this quick cheesecake spread in my back pocket for anytime we have unexpected guests arrive. I have to say one of my favorite parts of summer is when we randomly throw together a quick potluck meal. Someone has the meat that they are throwing on the grill, someone else says they have a watermelon or some corn on the cob to cook up. You gather around and just enjoy the day with friends. It doesn’t get much better than that! 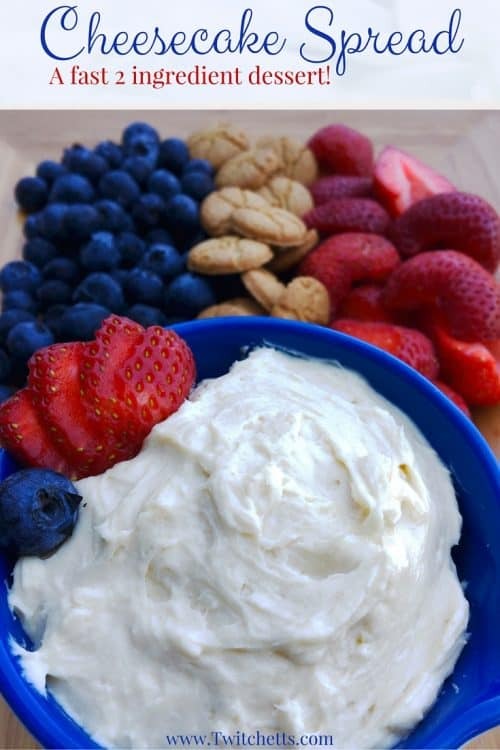 This go-to dessert is perfect on a hot day! It is fast, only takes 2 ingredients, and doesn’t involve the oven. 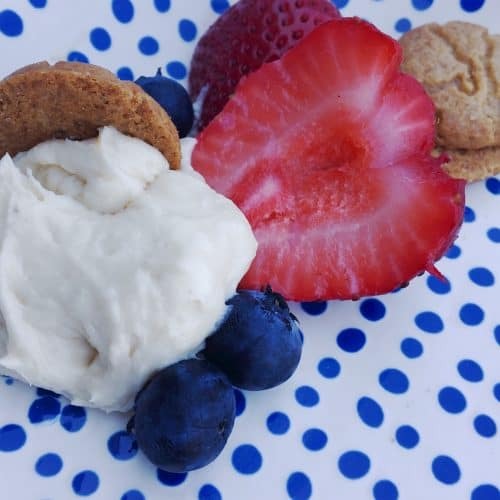 Mix together one 8oz package of cream cheese with 3 Tablespoons of brown sugar. 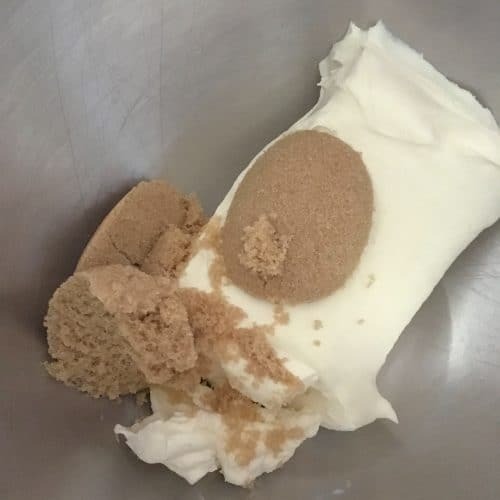 Blend on low until the sugar is incorporated, scrape down the sides, then speed it up and mix until nice and creamy. All you need now is to find something to serve it with! Here I served it with the fruit I had in the fridge, strawberries, and blueberries. 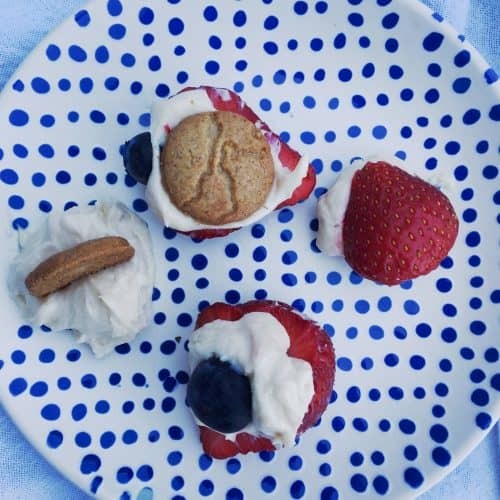 This combo would be perfect to serve up as a 4th of July dessert! I also threw on some gram cracker bites we had in the pantry. The next time I made this dip we had chocolate cookies and raspberries. Really anything tastes good with cheesecake! I like to take a scoop and swipe my fruit through it. 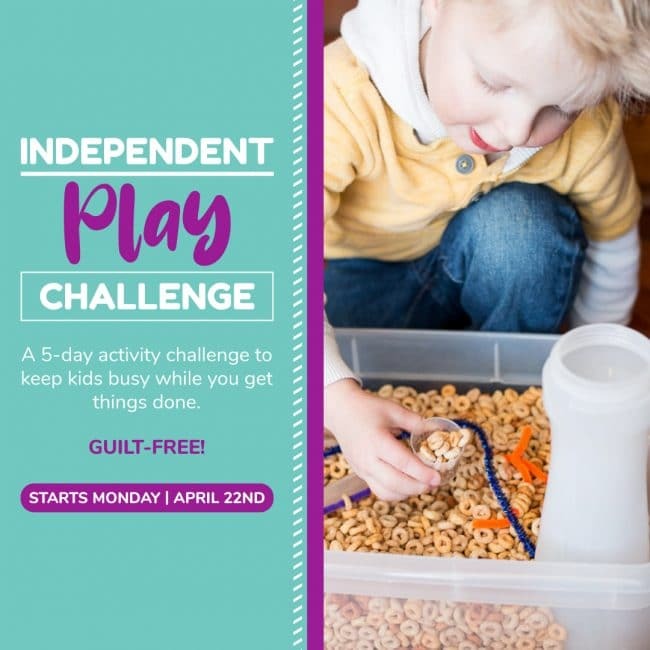 The kids can get a little more creative. J had fun making a bunch of mini desserts. 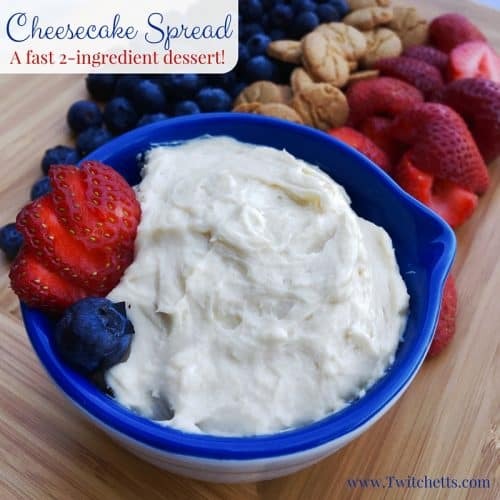 No matter what you serve it with this quick cheesecake spread is the perfect dessert to keep in your back pocket for a fast and easy dessert for any day of the week! This 4th of July, I’ll bring the deviled eggs, you bring this. Yummy!